The Chairman, Nigeria Maritime Expo (NIMAREX) 2014, Planning Committee, Barr. 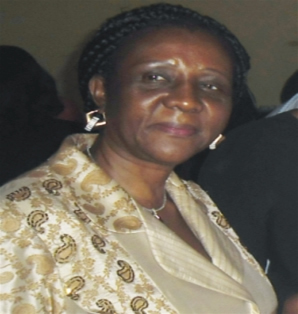 Margaret Onyema-Orakwusi has said that the NIMAREX under her watch was not owing anybody and will not owe anybody. Barr. Orakwusi who was speaking in an interview with newsmen in Lagos as part of the ongoing NIMAREX 2014 programme holding at the Convention Centre, Eko Hotels and Suites, Victoria Island, Lagos was reacting to an allegation circulating on the social media alleging indebtedness of the Expo to some contractors who worked for it in the past editions of the event. She urged the public to disregard such information as there was no truth in the allegation saying that herself and her committee members were very prudent with resources that went into the programme which had become an annual event. According to her,” I am happy you called it an allegation. I am here to tell you that NIMAREX under my watch has not owed anybody and will not owe anybody considering the sacrifices that we make not just our time, but also our money into ensuring this”. “Anything that you are achieving success doing, you must have enemies, you must have people who go about trying whatever they could to frustrate the programme. The NIMAREX opening you see today, does it look like NIMAREX that is owing anybody? I am very prudent, the committee is very prudent and we are not a government establishment but we are in partnership with the government and it is driven by the private sector. So we can’t owe and we don’t owe”, Orakwusi summed up. Speaking on the absence of the Chairman of the NIMAREX opening Ceremony, Gen. Ibrahim Badamosi Babangida (rtd.) she stated that Babangida would have loved to be present at the occasion but for some reasons which according to her she cannot divulge to the public which made it impossible for him to be physically present. She however disclosed that Gen. Babangida went a step further to send a high powered personality to represent him and personally wrote the address which was delivered at the event by himself to further underscore the importance which he attached the Expo. The Planning Committee Chairman went further to list the achievements of NIMAREX so far to include, attracting both foreign and local investors to invest in the maritime sector, building and developing human capacity in the sector, exposing the inherent potentials in the maritime sector and a book soon to be published which would serve as a compendium of NIMAREX lectures and contributions for onward transmission to the Nigerian Universities to help tutor the successor generations that would take over from them in the near future. On the absence of President Goodluck Jonathan at this year’s event, she had this to say,” I am sure you heard the Minister’s address, the President was going to be here today. All arrangements, we have been discussing with his lieutenants and he was going to be here. You know he is not the President of the Maritime sector; he is the President of the Federal Republic of Nigeria. If a more pressing thing came up, we all expect him to go and address those pressing things”. “He has competent hands to delegate the opening ceremony of NIMAREX to and we all know what the second Niger Bridge means to the nation, to the economy. So I believe that is more important than coming to open NIMAREX. If he has conflicting issues, he really has to go for the one that will benefit more people and we have his able representative”, she observed. She therefore expressed her joy over the turn up of the people at the event adding that they made provisions for one thousand, five hundred seats and people were still standing necessitating sourcing for more seats at the peak of the event even as she disclosed that NIMAREX had made the people to think in terms of Maritime and what they can contribute in maritime.